In this digitalized era, where online data is everything and most of the valuable information is stored on computers, a single malware attack can corrupt every bit of information. In such a scenario, do we have a reliable option to save our mainframes from ransomware and botnets attack efficiently? The answer is probably yes!! The rise of Artificial Intelligence technology is taking over the world and promising a malware-free future. But the only drawback with machine learning cyber security is that it demands lots of data. This means that AI can work efficiently on computers, when they are equipped with massive and complex open-source data. Once loaded, machine learning can use algorithm to solve the complexity of those huge data. Talking about Artificial Intelligence and machine learning cyber security, they can efficiently deal with cybersecurity problems and meanwhile detect malware too. They are letting us depart from traditional antivirus solutions to tackle malware menace and step into more reliable option. Together, they create a system that is resistant to attacks as compared to present system, which constructs a shield against attacks and keeps looking for viruses. AI cyber security works by abandoning endless updates and detects malicious files right away. The process begins with storing all kind of files i.e. malicious as well as genuine. Then, with the help of Artificial Intelligence and machine learning technology, malicious files are separated from the original one. Later, they generate algorithm to precisely categorize the file for consequent actions. Let’s have a look at the latest cyber security development in the field of Artificial Intelligence and machine learning based devices and models. EMBER i.e. 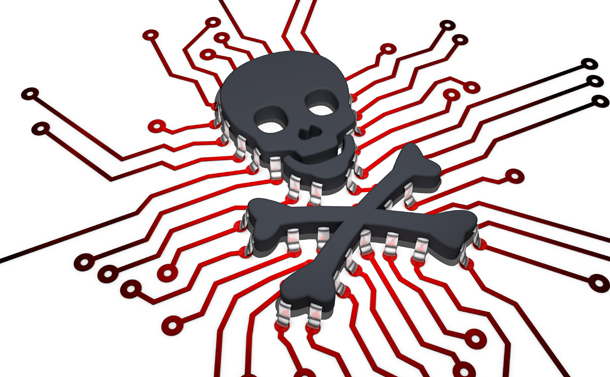 Endgame Malware Benchmark for Research was recently released by a cybersecurity firm called Endgame. It is an amalgamation of millions of malicious and nonthreatening Windows-portable executable files. They are available in the format that allows malware to hide with ease. The firm is claiming that they have also produced an AI software that can work with the limited data set in computers. Basically, EMBER is responsible for assisting automated cyber security programs. Generally, when files are kept together in original form, they are at the risk of getting infected. What Ember does, it stores a digital representation of each file and detect the characteristics of each file based on algorithm. This helps the system to detect the malicious file, if any alien algorithm for a particular file is detected. This platform will help cybersecurity community to train their algorithm with perfection and develop more flexible malware-hunting AI. Adversarial models are known for defeating Artificial Intelligence behind computer audio and image classifiers and can also tackle malware detection. AI can considerably lower the risk caused by malware attacks in companies, which is imperative during mergers and acquisitions. These procedures not only demand financial diligence but also technical and security attentiveness. This can only be achieved by thoroughly reviewing the system inventory to recognize any malware contamination, the level of contamination and amount of risk involved in the system. This is significant for business as any contamination allows companies to renegotiate the terms of agreement during mergers or any business deal. If any malware risk is detected, they can lower the sale price and at the same time, fix the issue in no time with Artificial Intelligence based devices. The basic idea behind every development is that if we are considering AI as a potential weapon against malware then we must define what exactly are we looking for. This is necessary because hackers are changing codes constantly to remain hidden and avoid detection. Therefore, developing systems that are obsolete will make this whole exercise useless.